Udupi, June 20, 2015 : Naxalite activities has been increasing in the villages on the Western Ghats in the border areas of Udupi district said BJP District President T.V Hegde on Friday. Addressing presspersons here, he said naxalite activities had been reported from Hebri, Nadpal and Kabinale villages. A team of eight suspected naxalites headed by Mundagaru Lata was clandestinely visiting houses and demanding money upto Rs. 25,000 from big farmers in the villages in the Western Ghats. The naxalites were taking advantage of the monsoon for their activities. “Hence, the police should increase their combing operations and curb their activities,” he said. Mr. Hegde said that after the mysterious death of a 17-year-old minor at Henberu village near Byndoor on June 17, parents were scared to send their girl children to high schools and colleges. Meanwhile, K. Annamalai, Superintendent of Police, told The Hindu that there had been a raid on a naxalite camp in Chikkamgaluru district last month. After that there was a feeling that naxalites had dispersed and were roaming in the Western Ghats. The police had no information of their activities or operations in the district. “As far as we are concerned, there are no naxalite activities in the district. 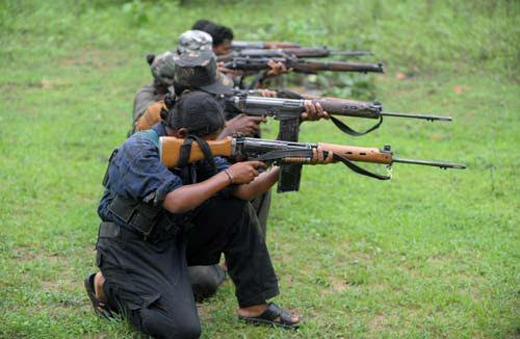 The Anti-Naxalite Force has increased its combing activities as it usually does during the monsoon,” he said. The Byndoor police station covered a lot of forest area and faced staff shortage. “We will increase the staff strength in Byndoor police station as soon as possible,” Mr. Annamalai said.